This is a Sponsored Post. All views are my own. This post may contain affiliate links and we may earn compensation when you click on the links at no additional cost to you. 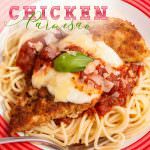 Chicken Parmesan is a super simple 30 minute recipe that is sure to be a family favorite. Served with spaghetti noodles and even your picky eaters will devour this recipe. 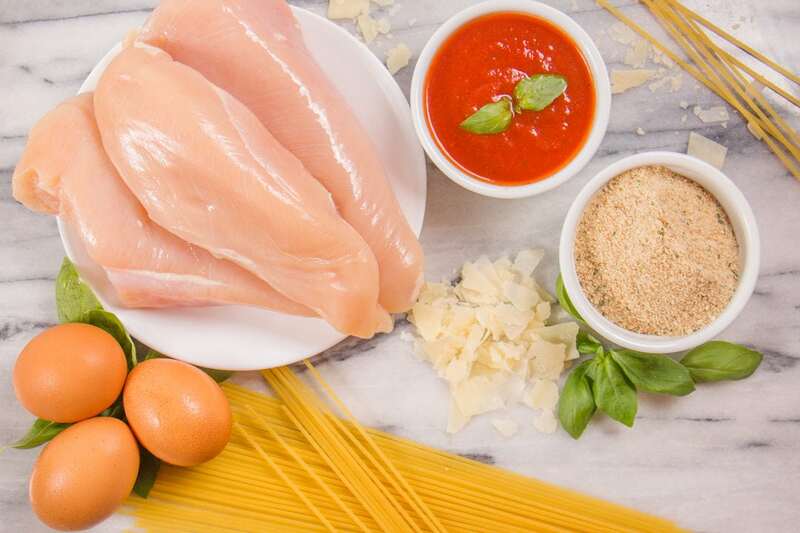 I personally love the simplicity of this Chicken Parmesan recipe and paired with Full Circle ingredients which are Organic is wonderful knowing I’m feeding my family the best that I can. My family devours Chicken Parmesan and it fills them up too! This super simple recipe is perfect for any night of the week. 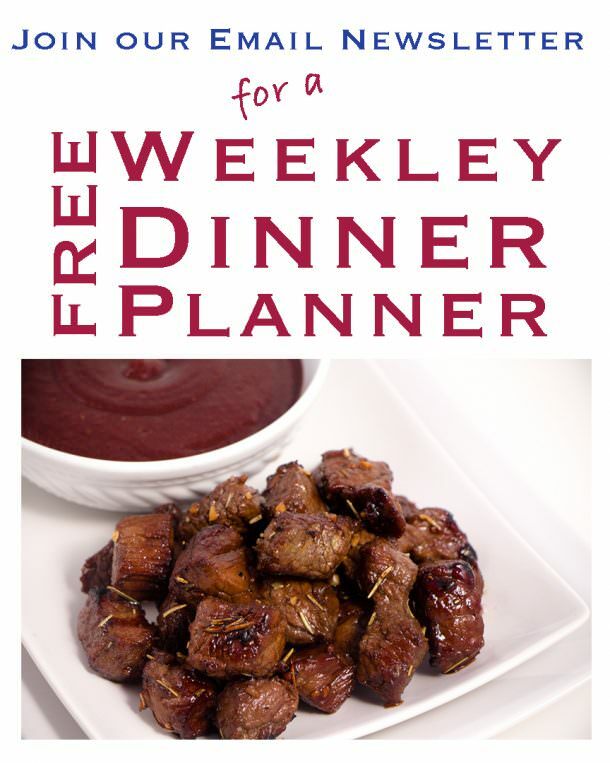 I love to wow my guests with this meal too because it looks difficult, but is really easy to make. The organic product line from Full Circle tastes great too. My son who will typically only eat other jar sauces, said he likes this one so much better! I was amazed at how much he ate. If that doesn’t tell you how good it is, I don’t know what will. 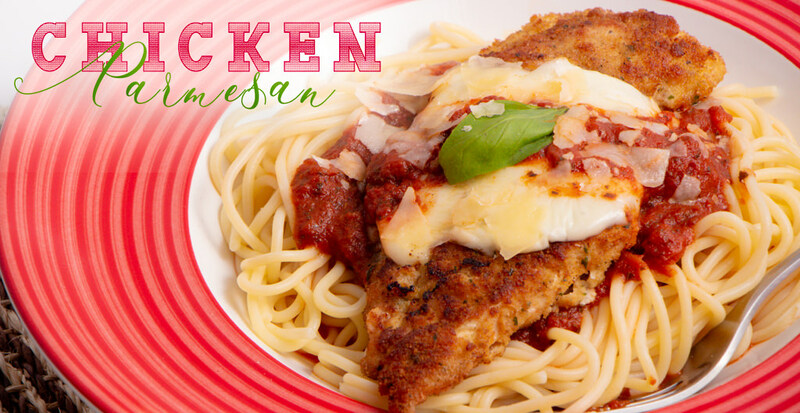 Full Circle products are high quality and made a perfect Chicken Parmesan Recipe. Start your water for your noodles first. Place on high heat with a lid cover will help bring the water to a boil quickly. This way your entire meal will all be done at once and you will have a warm delicious meal to serve. Over high heat, heat a large pot full of water to a boil. Add noodles to pot and cook according to directions on box. Slice chicken breasts horizontally through the middle. Season with Salt and Pepper. In a bowl combine milk and eggs and whisk together. On a separate plate place bread crumbs and then set aside. Dip each chicken breast in bread crumbs, then egg mixture and back into bread crumbs. This will give you a nice thick coating to your chicken breasts. In a large skillet over medium high heat add Olive Oil and allow to heat for 3-4 minutes until hot. Place coated chicken breasts in hot skillet with olive oil. Cook for 3 minutes and turn over and cook for an additional 3 minutes. Remove from heat. In a baking dish pour 1 cup of pasta sauce on the bottom and place cooked chicken breasts on top of pasta sauce. Take slice of mozzarella cheese and place on top of each chicken breast. Drizzle pasta sauce on top of cheese. Bake at 350 5-10 minutes, or until cheese is melted. In a large bowl, place pasta, pasta sauce and Parmesan Cheese. Top with Chicken Breast. Add additional pasta sauce as needed and garnish with Parmesan Cheese. 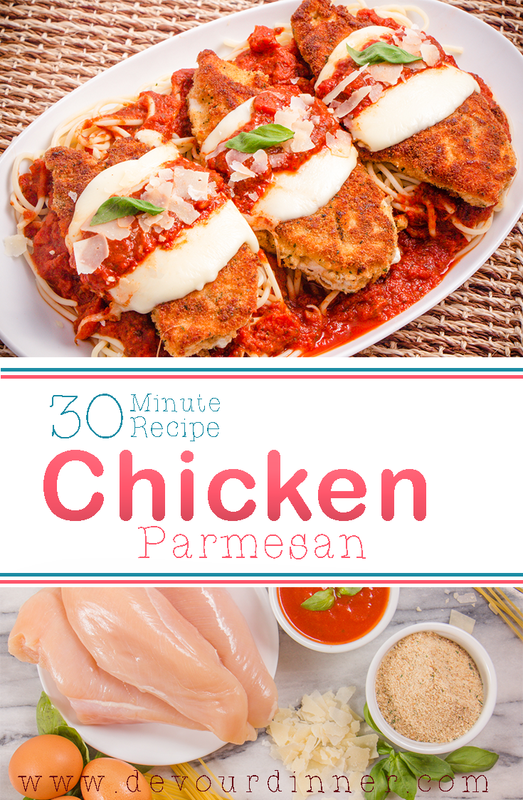 Quick and easy Chicken Parmesan recipe can be made in 30 minutes. 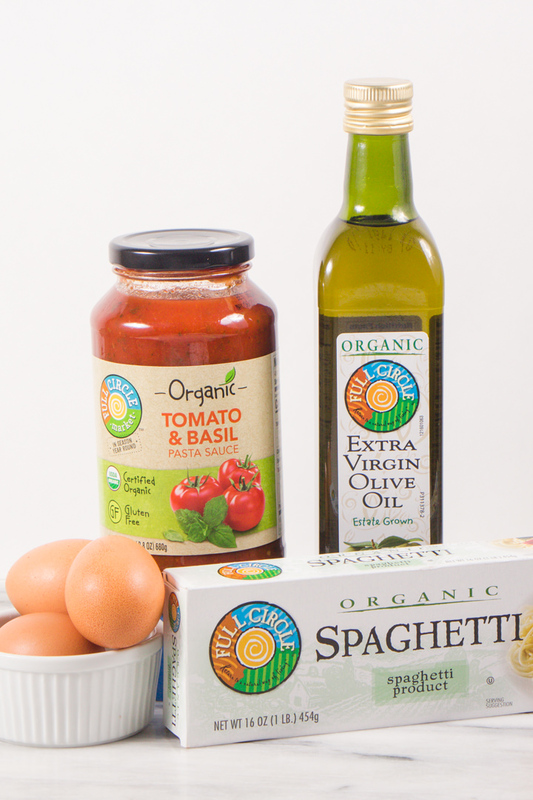 Enjoy a delicious Chicken Parm dinner recipe using organic ingredients from Full Circle found at your local neighborhood grocer. On a separate plate place Italian Bread Crumbs. Plate should be large enough for chicken breasts to lay flat. Slice each Chicken Breasts horizontal all the way through. This makes cooking the chicken breast easier as it's thinner and will cook more evenly. Dip each chicken breast slice into bread crumbs, then into egg mixture, and back into bread crumbs coating evenly. Do this for each chicken breast. In a frying pan, eat olive oil over medium/high heat until hot. Place chicken breasts into hot pan and cook for 3 minutes for each side. Remove chicken and place in 9x13 pan. Add slices of mozzarella cheese to top of each chicken breast and drizzle a large spoonful of sauce over the top of each piece of cheese. Add Fresh Basil for Garnish as desired. Place in the oven at 350 degrees for 5-10 minutes or until cheese has melted. Serve over spaghetti noodles with heated Pasta Sauce and garnish with Parmesan Cheese. Enjoy! Oh yum! I need new, easy dinner ideas. This looks doable but probably will take me longer than estimated time with a big family and a small oven. 😛 This look super yummy and I know my kids will love it too! What great information and detailed instructions! Anyone can do it! This meal looks delicious. I really like that you provide a step by step video. This is a very good post! The use of video is so important to help cooking novices achieve a good result. Thanks Dominique! The video is very helpful for many. That’s why I try to include them. 🙂 . This looks so yummy. I haven’t had dinner yet, so this is torture to read! You know it’s good when the kids can’t stop eating it! It is torture for sure! haha… I’m glad you liked it. I hope you make it too! 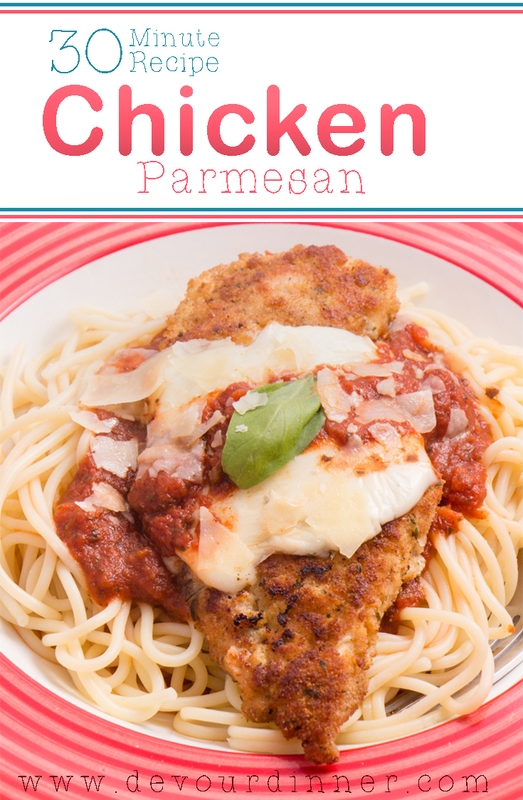 I’ve never made chicken parmesan but I love to eat it! Thanks for the easy instructions! My kids always loved this meal when they were younger – a sure family pleaser. Yes Tina. This recipe is a family pleaser! Wow!!! That looks amazing!!! Will have to try!! Thank you for sharing!!! OMG, this recipe looks amazing! Something my kids would actually eat! Can’t wait to make it! I love a good chicken parm. Thanks for sharing the recipe! It looks delicious. Yum, this is a major comfort food for me! Looks great! My husband loves chicken parm, but I’ve never been brave enough to try and make it! Thanks for the recipe! Hi Katy! Watch the video and follow along. You can do this! 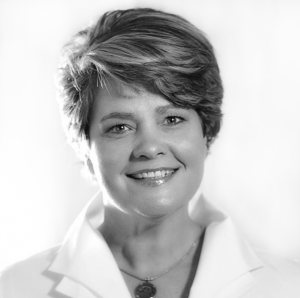 It’s so simple and the video will help answer your questions for sure. Good Luck! YUM! This would please my pasta loving children and satisfy my hubby who needs meat at every meal. Exactly right! Everyone will love this recipe! 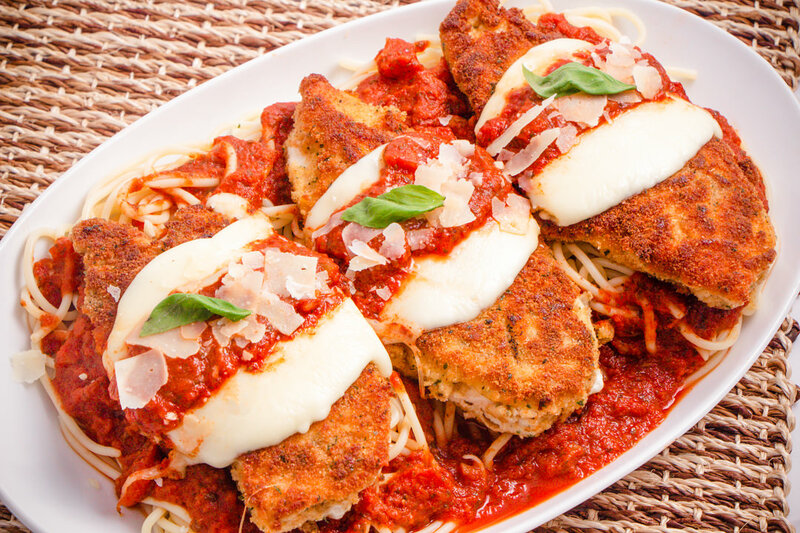 I love Chicken Parmesan! I can’t wait to try this out, so easy! Yes Jess, it is soooo easy! We love simple and easy recipes. You will love how amazing it tastes too! Huge chicken parm fans over here! This looks delish!! This is our favorite for my dairy eater in my family, but mostly serve it with potato, I would be like it more to serve it on a bed of pasta like yours, yummm, a total comfort food! Total Comfort food for sure! Love love this recipe! Chicken Parm is one of her favorites! Definitely going to make him make it! Looks delicious! This is one of my husband’s favorite meals, I’ll have to try it at home! Hi Megan…. This is one of my husband’s favorites too. I hope he likes it as much as mine does. Chicken Parm is one of my favorites! Yours looks absolutely delicious! Oh Thank you! I hope you try it out! Looks delicious – I’ll have to add this to next week’s menu. I’ll be over to try it out! 😉 You will love the recipe! Very yummy sounding. Will have to put this in my rotation. I hope you try it! Be sure to watch the video tutorial to help answer your questions. It sounds great! This may be what we have for dinner tonight. I love easy recipes. I love figuring out what I’m going to eat early in the day. Makes Dinner time so much less stressful. 30 minutes! That’s what I’m talking about for a dinner. Anything I can make that’s yummy but doesn’t take much time is a win for me. I’ll have to try this! Jocelyn, I agree! This is a perfect recipe that is super simple, tastes great, and is good for you! Yum! This sounds delightful! Will definitely have to make this!! This looks amazing! I’m in need of a dinner idea for tonight. I love Italian dishes!! Victoria, This recipe will be perfect! You can add a beautiful green salad to this meal too! Let us know how it turns out! It’s only breakfast time at my house, but your pictures look like I could eat the meal from the screen! 😉 Chicken parm is something I should make more! Pinning! This recipe is wonderful, so easy to make too. Hope you will enjoy it! I love chicken parm, I’ve never tried to make it myself though. It just intimidated me. I look for it all the Italian places I go though. Hmm, it doesn’t seem so intimidating broken up like the recipe though. Yum! Follow the video tutorial and you can do it. My recipes are made simple for everyone. Let me know if you have questions! Sure thing! It’s a great recipe. I hope you try it. You are so welcome Gina! I hope you love it. Oh wow! This sounds delish! Would you believe I’ve never had chicken parm? I might have to give this recipe a try. Thanks! Oh Andy! Please try this out and let us know how you like it. The video will give you a great tutorial of step by step so you can make it no problem too! Good Luck! I am saving this to try for myself! I love chicken parm but have never really tried to make it myself. Oh I hope you love it. Watch the video which will help you through the steps to make it super simple! This looks so yummy! 😍 I can’t wait to try. This is one of my favorite meals. Plus it is really easy to make and everyone loves it. It is really easy to make and a family favorite for sure!